Sandydown Bodyworks was established in 1975 and has grown in strength and reputation during the intervening years. It is recognized by clients and industry for its high quality workmanship, experience, and keen pricing. Sandydown is used by Insurance Companies, private and corporate clients and the motor trade for quality repairs on cars, commercial vehicles, motorcycles, and restoration work. Subject to availability, a fleet of courtesy cars and vans are available for customer’s convenience. A collection and delivery service is also offered. The extensive 8,000 square feet Sandydown premises house up to the minute equipment that is operated by an experienced, highly skilled, and dedicated workforce of 15 full time staff, several of whom have been with Sandydown for in excess of 20 years. 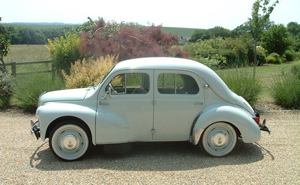 Sandydown specialises in top quality restoration and repair work on vehicles of any age. We are fortunate in having state of the art low bake ovens, jigs, and facilities that many of the smaller body shops undertaking restoration can only aspire to owning. This coupled with a highly skilled and dedicated workforce of 14 full time staff ensure that restorations are executed to the highest possible standards. Whenever possible only genuine factory parts are used during restoration work and we hold a number of secondhand and obsolete parts in stock. We are lucky enough to have our own fabrication workshop and Sandydown also work closely alongside Southbound Trimmers – who are also located in Stockbridge. All our work is guaranteed and a full photographic record of work undertaken is offered to every customer.Fixed price and stage restorations are considered and undertaken. Customers are involved in the restoration by regular updates as well as being encouraged to visit Sandydown to see the progress of their vehicles firsthand. We have worked on Porsche, Jaguar, Ferrari, MG, AC Cobra Rolls Royce and Bentley motorcars. Indeed more than one Sandydown vehicle has been exhibited at the NEC Classic Car Show to high acclaim. We offer a speedy and effective repair to the bodywork of your vehicle, whether you are a private, commercial or trade customer. We can offer paintless dent removal, and where paint is required we use a low bake oven to ensure a durable paint finish that frequently surpasses the original manufactures standards of finish. We use premuium polishes such as Swissvax and Zymol polishes for professional car detailing and concours preparation of bodywork. We source our paint from Akzo Nobel and ICI, all major paint suppliers. 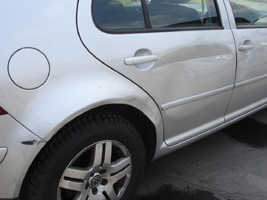 We also have the technology to ensure your repaired bodywork will match the paint on the rest of your car. We do this using technology that can tell us the exact colour of your existing paintwork, reading it from the surface of your car. We then mix the paint to match. Sandydown is run by a keen and enthusiastic team. David Newton (Managing Director) is renowned within the classic car world for his depth of knowledge in all aspects of motoring. 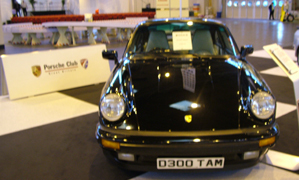 Between 2003 and 2007, David also headed up the second largest Porsche club in the world in the role as Chairman of the 16000 member Porsche Club Great Britain. He is also Porsche Club GB Motorsport Chairman, assisting in the running one of the largest and most successful race series in the country. David is also on the MG Car Club Safety Fast Magazine editorial team, and contributes regular articles to many Classic car monthly magazines. Tim Wheeler (Director) brings to Sandydown Bodyworks knowledge and expertise in accident repair which stretches back nearly three decades. This means customers receive accurate estimates and repairs in the shortest possible time. Tim monitors each car through its repair stages at Sandydown. 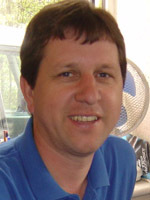 Tim’s experience has been gained by working in many garages prior to him coming to Sandydown and his previous role as Manager at Sandydown Bodyworks. Sandydown regularly works with Keylink the german car specialists in Winchester. 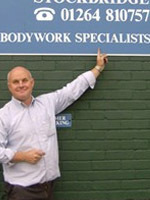 Both Keylinks and Coys of Kensington use Sandydown Bodyworks for restoration and body repairs.